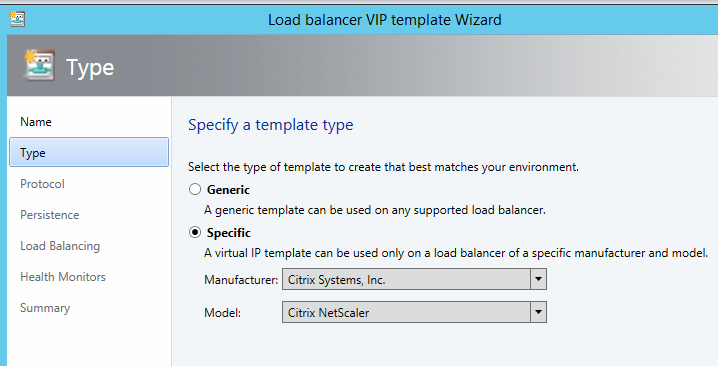 So this is such a great update I have to blog about it, I have been in many projects involving migrating from VMware to Hyper-V and there of course many options to choose from there. Alas Microsoft had its own Virtual Machine Converter but didn’t have support for the latest version. Linux Guest OS migration support including CentOS, Debian, Oracle, Red Hat Enterprise, SuSE enterprise and Ubuntu. On-Premises VM to Azure VM conversion: You can now migrate your VMware virtual machines straight to Azure. Ease your migration process and take advantage of Microsoft’s cloud infrastructure with a simple wizard driven experience. PowerShell interface for scripting and automation support: Automate your migration via workflow tools including System Center Orchestrator and more. Hook MVMC 2.0 into greater processes including candidate identification and migration activities. So alot of great new features which should make it even easier to convert Virtual Machines. Also another important factor here is this. At this time, we are also announcing the expected availability of MVMC 3.0 in fall of 2014. In that release we will be providing physical to virtual (P2V) machine conversion for supported versions of Windows. 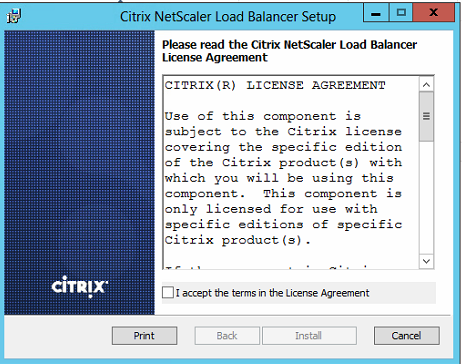 Citrix just recently released a new build of its Netscaler appliance and also included a provider to integrate with Virtual Machine Manager even thou it is very hidden from the naked eye. Open up Netscaler GUI web-console and up in the right corner you have the downloads pane. 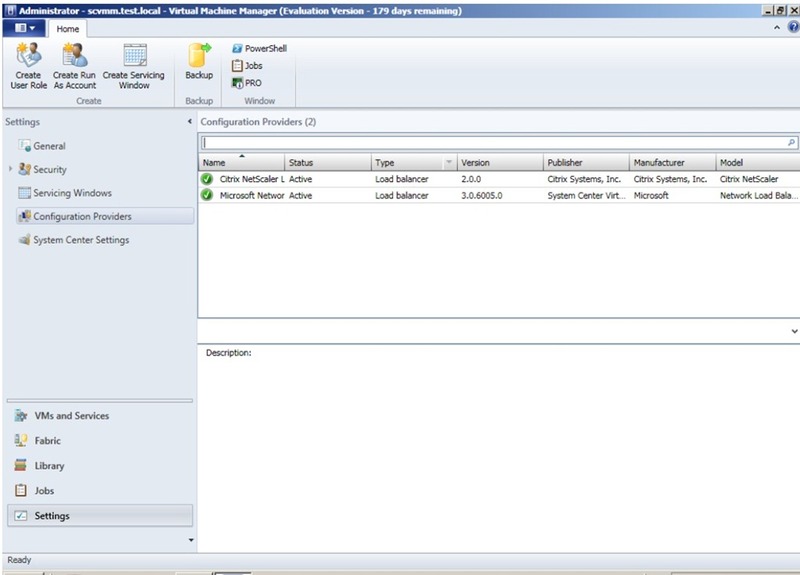 under here you will find the Management Pack for SCOM and the provider for VMM. 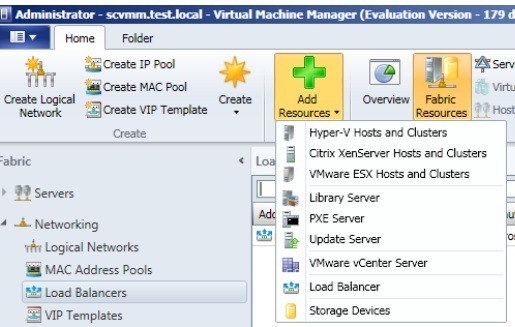 After you have installed in you need to restart the virtual machine manager service on the VMM Server, then it will appear under the Configuration Provider on SCVMM. It has the same feature set as It did before. Was hoping for something new and exiting feature set but not yet. http://technet.microsoft.com/en-us/library/jj134174.aspx In terms of virtualization it allows to run multiple virtual networks on a physical network. As a part of Microsoft’s investment to this solution, F5 is coming with a Gateway solution that can work in conjunction with Network Virtualization. You can read more about it here –> http://rcpmag.com/articles/2012/09/25/f5-microsoft-network-virtualization-gateway.aspx The gateway is used to connect the virtualized network to the non-virtualized network. F5 Has already been good at developing solution which has support for System Center (Own integration packs for Orchestrator, MP for SCOM, LB profile for SCVMM) and now this, it will be interesting to see how this works out, and if Citrix is working on a solution like this as well, since this will be a core component for a future Windows infrastructure. And as a part of that design you need ADC. End-user ————–> Internet ———-> Firewall -> ADC -> Pool of web servers. An ADC can be described as an next generation load balancers. The largest ADC products in the market are F5 BIG-IP and Citrix Netscaler. 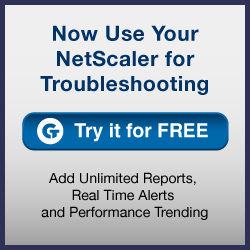 Like Facebook, Bank of America uses BIG-IP according to netcraft.com and sites like Visa use Netscaler. But back to the cloud, when deploying new services in the cloud you can automate much of this with SCVMM 2012 out-of-the-box. 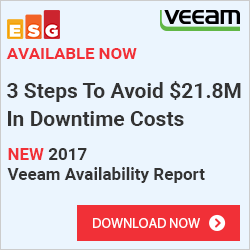 * Automate the deployment of new service. * Configure which users have access to the service, so on and so forth. But of course this will only get you so far, if you have an ADC between your firewall (Which is connected to the internet) and your infrastructure you would need to make some settings on the ADC as well in order to deploy the service properly. Microsoft has seen the value of working together with the ADC vendors, and because of this you can integrate your ADC’s into SCVMM and with it fully automate your service deployment. As of today there are 3 «connectors» avaliable. 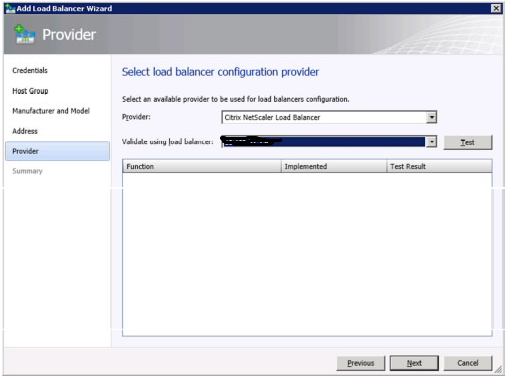 Im going to walk trough the deployment of Netscaler connector within SCVMM 2012. And how you can further use this when creating templates. First of install the connector from the site. Click next, next and install. After you have installed the connector you need to restart the virtual machine service. 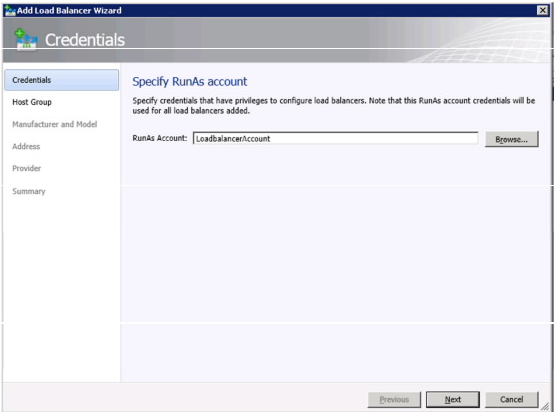 From there you need to create a runas account which has access to the netscaler, and has access add LB rules. Then you need to choose which host group this LB will be active for, then choose the manufacturer and model. 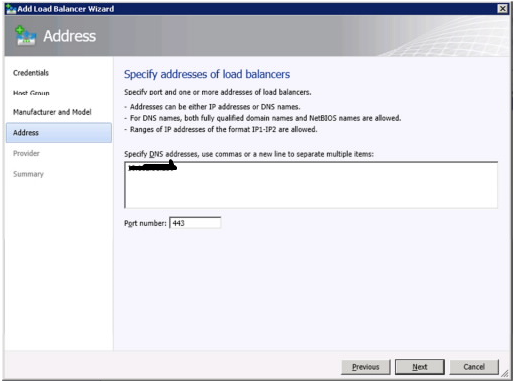 Then enter the IP address and port for the Netscaler device. Now under Provider we check if the system has access to the device. Afther that is complete you can click complete. 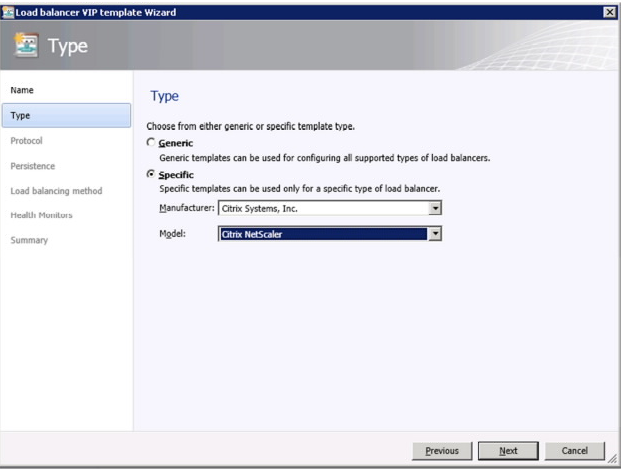 Now that the Load Balancer is in place and is configured correctly with access we must create a VIP template. 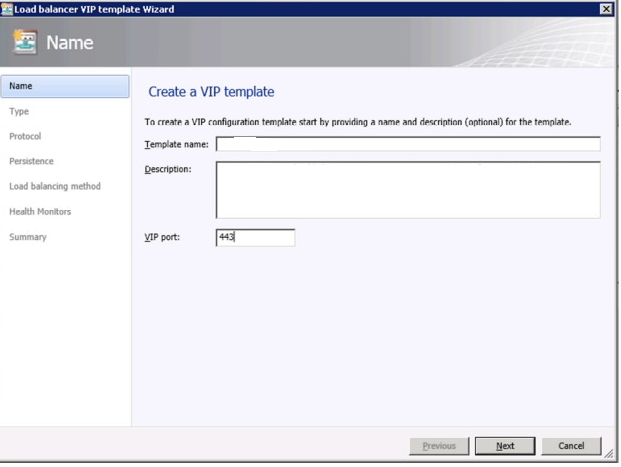 A VIP template contains a configuration setting for a hardware load-balancer for a specific type of network traffic. 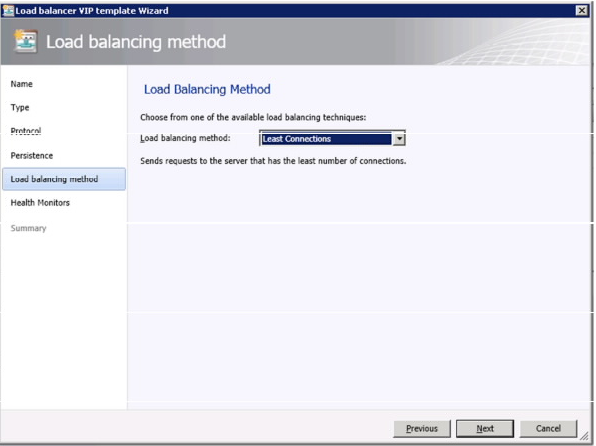 For instance, you could create a template that specifies the load balancing behavior for HTTPS traffic on a specific load balancer. 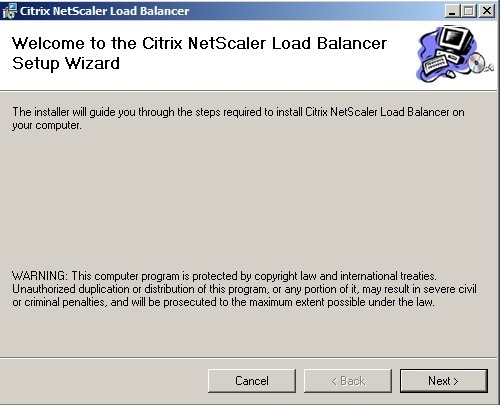 Click next, now we have to define which Protocol we are going to load-balance, and if we wish to terminate the https connection at the load-balancers. We also need to enter a Certificate subject name here. For instance C=US,ST=WA,L=Redmond,O=Contoso,OU=Test,CN=www.contoso.com/emailAddress=contoso@contoso.com. 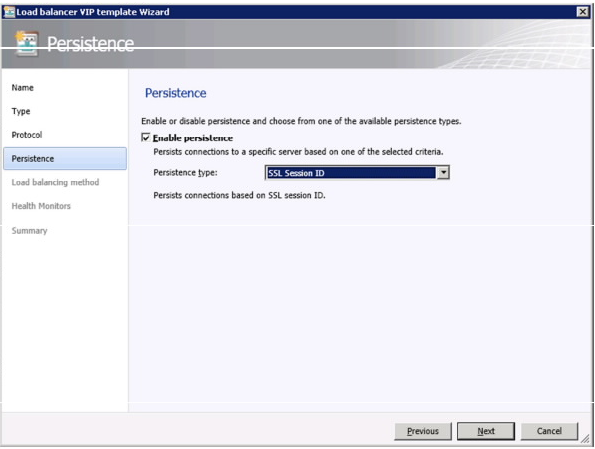 Here we change the settings for Persistance, for instance if someone has the SSL session ID of = 12325345345 and has visited WEBSERV1 before then the user be routed back to that server. Now we choose what kind of Load balancing method we are going to use, im going to stick with «Least Connections” since my web servers are equal in terms of hardware. And last but not least Health Monitors. 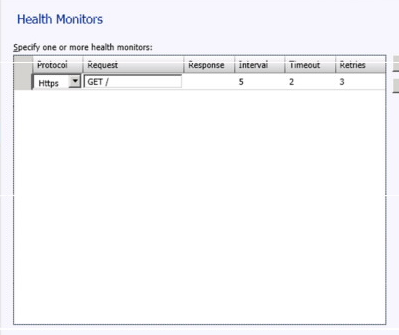 Health monitors are in place to check if the servers in the back actually are alive and responding. You can for instance add a GET / in the request box and type 200 under reponse (Which is the status for OK in HTTP) and the device will perform a HTTP GET on each server so see if they are alive and well.